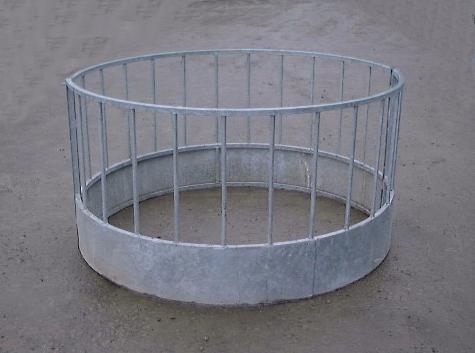 Circular Galvanised Sheep Feeder. 24 feed spaces, 1600mm dia. x 905mm high, 290mm deep welded base. Coupling bar fixing, 20mm dia. tubular vertical rails and a sheet metal base. Delivery charges for this product will depend on your location, quantity ordered and may be free. Please email for details.